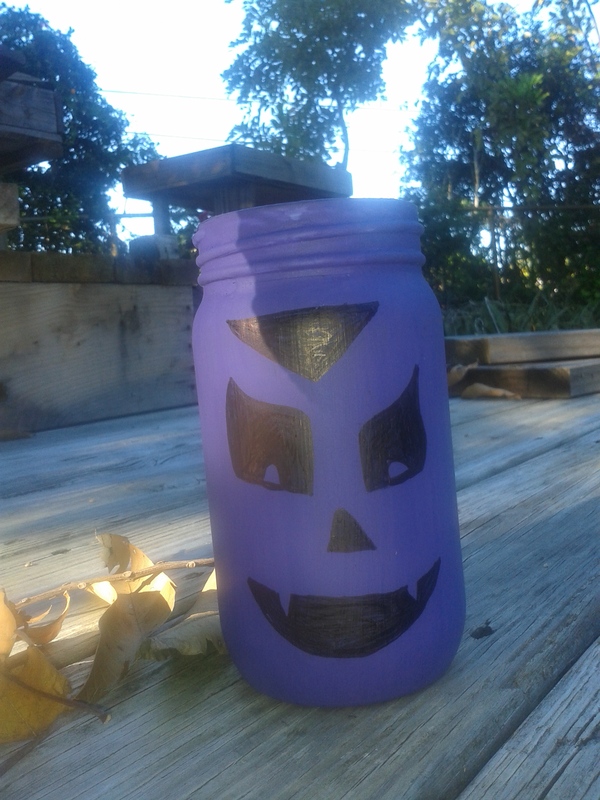 I painted a glass jar with purple paint. I waited until the paint dried to draw on using black Dracula’s face. Fold the paper plate in half and cut a circle in the center. Draw out Autumn leaves on the colored construction paper. Glue them onto the plate all around. Color in with markers on any part of the plate that is till covering in white. If you do not have colored paper you can color it in with markers or paint. 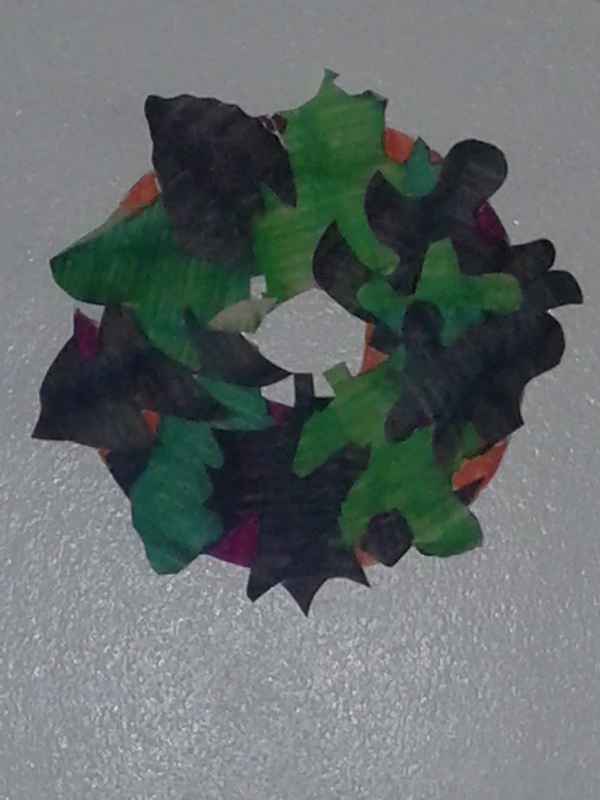 Use black construction paper and fold in half. 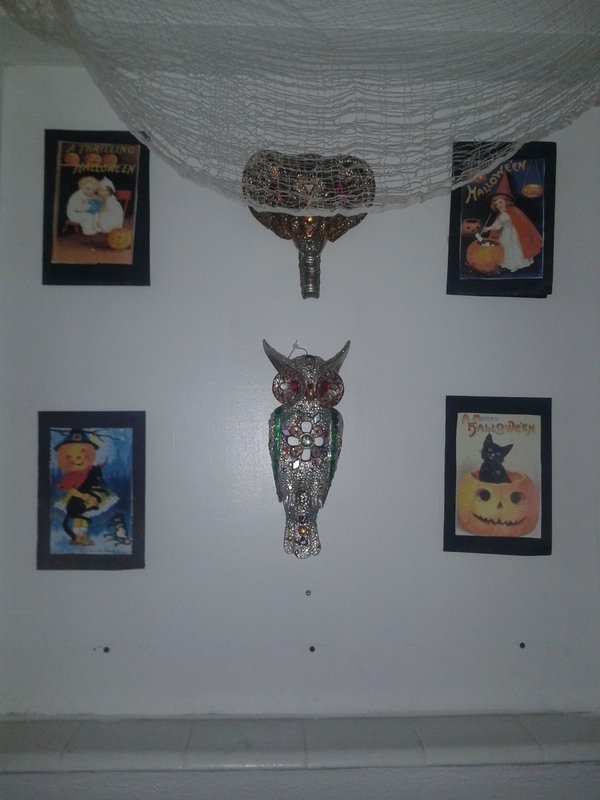 Print out Halloween images from online. Cut them cut and glue them onto the black construction paper. 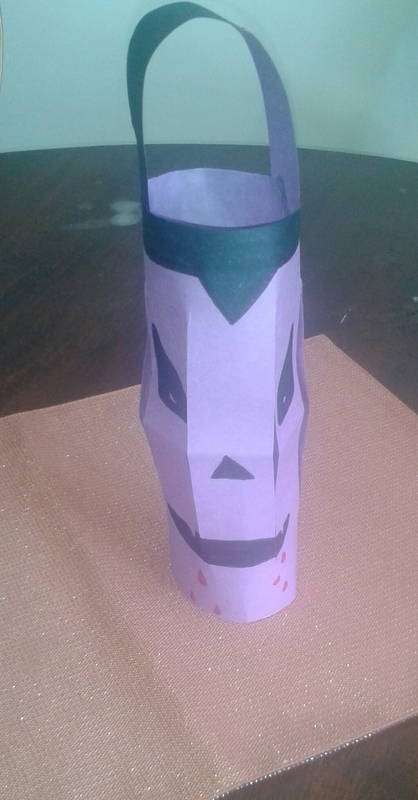 Cut a bit smaller and glue on the inside colored construction paper in Halloween colors such as green, purple, and orange, or simply white.